As Director of Business Development of MBF, Josh Weber is responsible for sourcing, evaluating and consummating add-on acquisition opportunities for MBF’s portfolio of companies. Josh Weber is the Director of Business Development at MBF Healthcare Partners. He joined the firm in 2017 and is responsible for sourcing, evaluating and consummating add-on acquisition opportunities for MBF’s portfolio of companies. Josh Weber works closely with the executive teams to assist in meeting their respective growth strategies, and in many cases, leads the deal origination team for MBF’s portfolio companies. Prior to joining MBF, Josh was the Vice President of Business Development at Global Healthcare Advisors, a buy-side healthcare investment bank in Miami, FL where he was focused entirely on sourcing proprietary deal flow and eliciting interest and engagement from business owners in the healthcare industry. In his tenure at GHA, Josh produced more than $120 MM in actionable lower-middle market deal flow for their clients across a variety of healthcare verticals. Prior to his role at GHA, Josh was an Officer on a Wealth Advisory team at Northern Trust in Miami, FL and was responsible for trading, portfolio analysis, facilitation of client banking/trust transactions and the management of accounts. 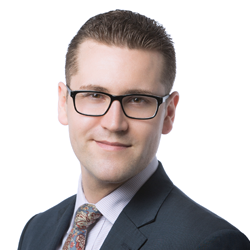 Josh was also a member of the Rotational Development Program, where he worked in the following departments: Global Equity Index Strategy, Short Duration Fixed Income, Wealth Strategy, Wealth Advisory and Advisory Practice. Josh is a past member of the Miami Finance Forum, a graduate of the 2015 class of the Leadership Miami program, and a volunteer with the Everglades Foundation, where he became one of the founding members of their young professionals group. Josh is the founder and former chair of the Advancing Professionals of Northern Trust Miami.